The AVOS Inner Circle unites sophisticated people who have the unconditional aspiration to achieve their goals, strive for success and aim to express this mentality through the appreciation of quality products, handcrafting and superior ingredients. We do not focus on status, profession or money but rather on people, who have a unique and fascinating life story to tell; find more information here. 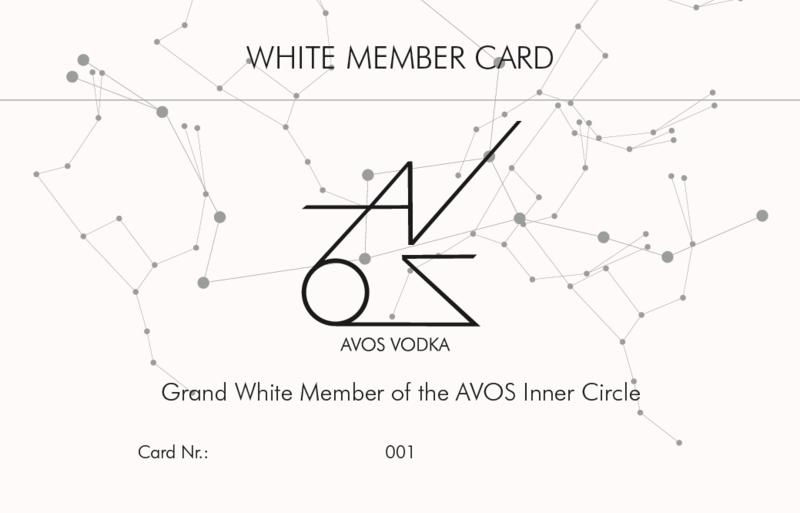 The possibility to order our products for special occasions, business meetings and travels is solely reserved for members of the AVOS Inner Circle. - Exclusive access to our products.  - An applicant is automatically granted a black membership as soon as either the application has been rated successful or the applicant has been recommended by an already existing Gold-, White- or Platinum-Member. - Black Member Cards are endowed with an 8-digits serial number. - Exclusive personal invitations to our events, meetings and parties. 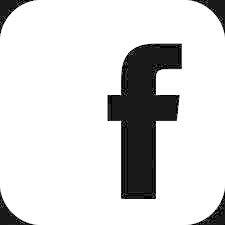 - If requested, we will contact the member personally about our news regarding just launched creations as one of the first and; he or she is furthermore entitled to order them directly. 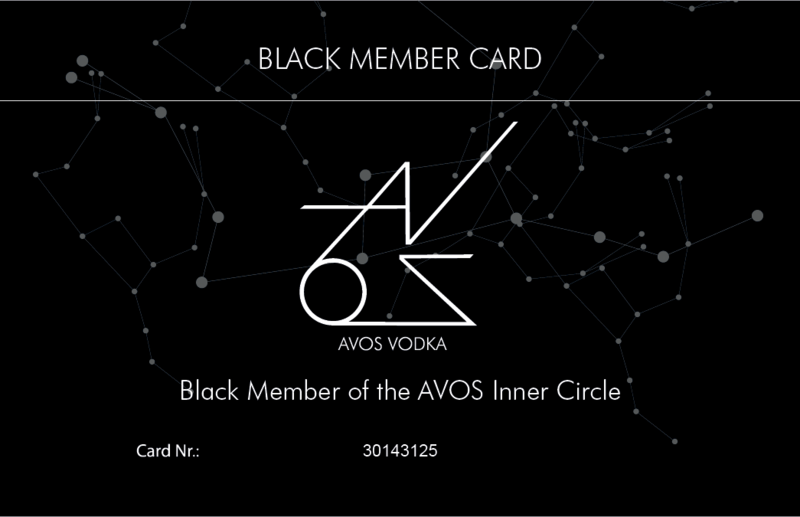 - For black members it is possible to be upgraded to a Gold- or White-Member (please find more information below) after certain requirements have been met; directly afterwards the member receives discounts, special invitations and more benefits. 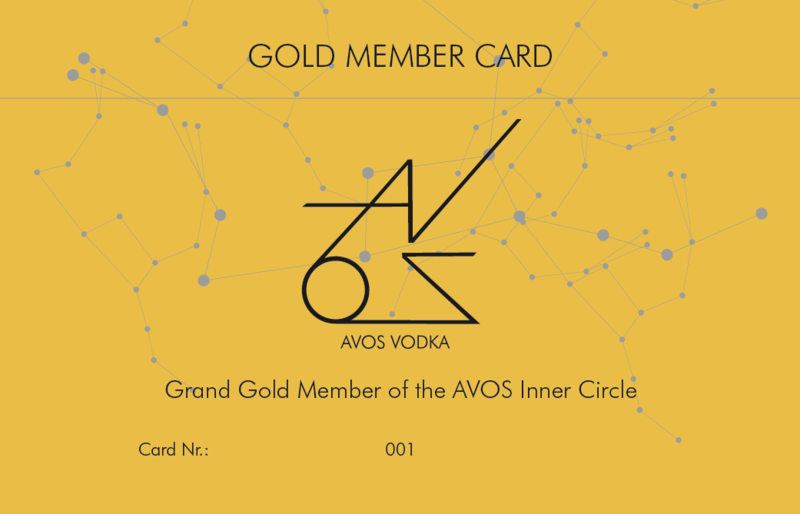 - After orders of more than 100 bottles AVOS Vodka within a time period of 12 months, a member is automatically upgraded to Gold-status. - Gold Member Cards are endowed with an 4-digits serial number.(1001-9999). - 10% discount on all orders. - The possibility to recommend new members to become Black Members directly without the application process. ​- A member is rewarded with the White membership card as soon as criteria of the gold status are met and holders of Platinum membership cards agree on admissing the new member. White Member Cards are endowed with an 3-digits serial number (101-999). - 25% discount on all orders. - Highest achievable status, therefore highest priority in terms of pre-orders of new collections and editions. - Personal and direct customer care, order processesing and face to face invitations to our events by the management employees. - Extraordinary membership status that is limited to 30 persons or businesses worldwide. 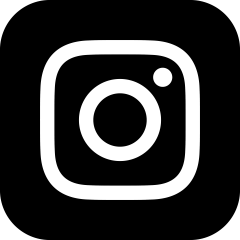 - Usually Platinum member cards are given to members who proved a long term relationship to AVOS and positive influence on the history and progress of the company. 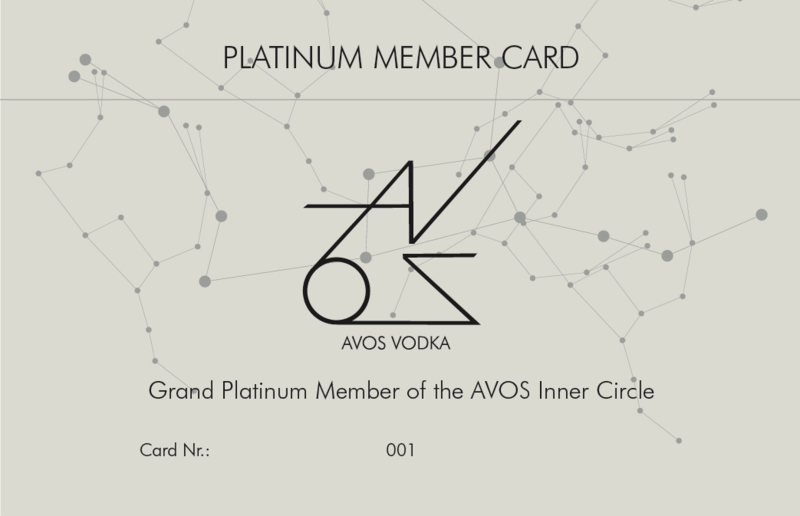 - Owner of the Platinum card are being given all advantages of a White card membership and enjoy the highest prestige status within the AVOS Inner Circle.